For the past few weekends, Drew and I have spent our Saturday mornings exploring the farmers’ market at Piedmont Park. It’s about a mile walk from our apartment, and the weather has been perfect for picking up breakfast, strolling along all the vendor booths and people-watching. I’ve discovered I have an iced almond coffee obsession and we found a new-to-us food truck that makes a killer breakfast panini. 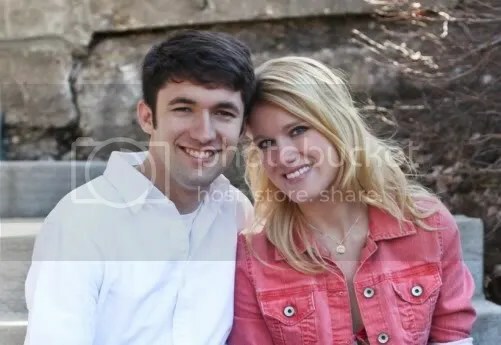 The last time we went together, we bought a bag of Georgia peaches. 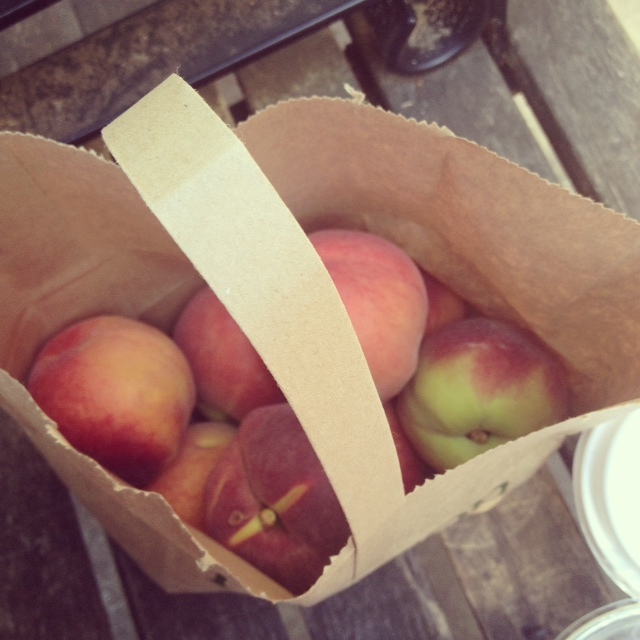 Fresh peaches always remind me of my mom making homemade jam or throwing together a peach and blueberry cobbler. 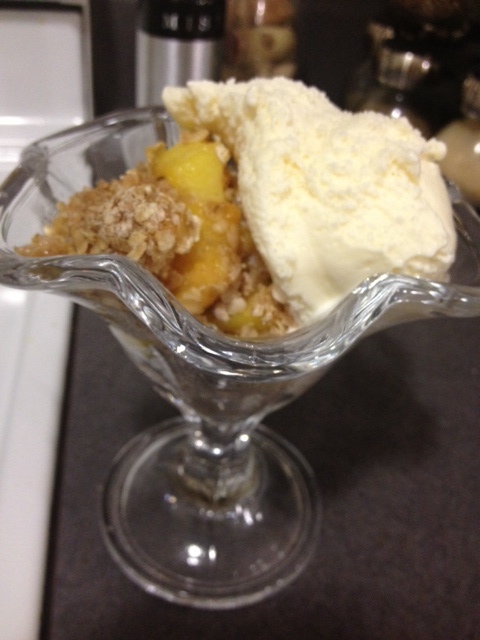 Since I already had all the ingredients on hand, I decided to make a peach crisp rather than a cobbler. It’s the perfect no-fuss dessert for the hot summer months, especially when paired with vanilla ice cream. 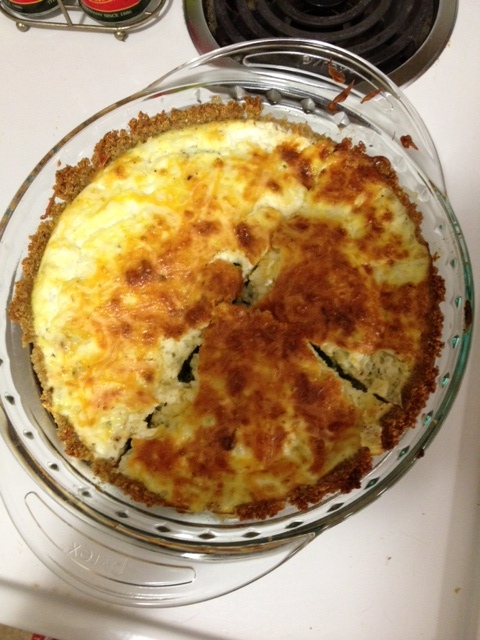 In addition to the crisp, I also made a cheese and spinach quiche for a dinner several nights ago. Not able to forget the amazing quiche we had at the bed & breakfast we stayed at during our recent trip to Savannah, I decided to make my own. 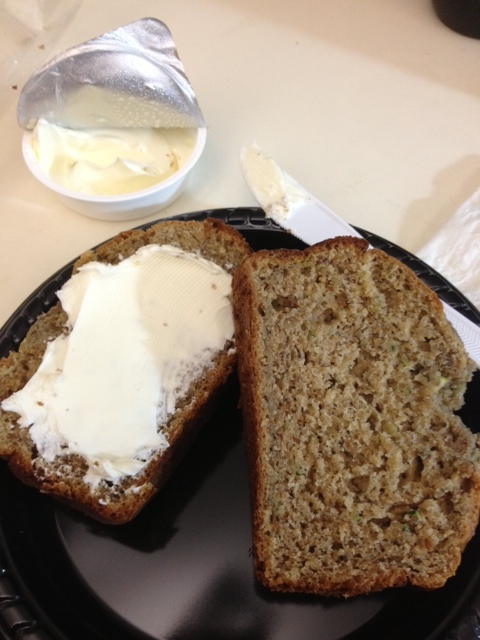 I also whipped up a zucchini banana bread for our breakfasts during the work week. Baking with fresh fruits and vegetables has got to be one of my favorite things about this time of year. 1/2 stick butter, cut into small pieces. Preheat oven to 350. Grease a 9×9 baking dish. Layer peaches into bottom of dish. In a bowl, mix together all the ingredients, cutting in the butter with a fork. Sprinkle topping over peaches until evenly covered. Bake for 25-30 minutes or until topping is golden brown and bubbling. Preheat oven to 350. In a skillet, heat oil or butter over medium heat and saute fresh spinach (if using) until tender. Remove from skillet and let cool. Line 9-inch pie plate with crust and prick bottom with a fork. Sprinkle half the cheddar cheese onto crust, then layer in the spinach. In a bowl stir together the cottage cheese, eggs, pepper and nutmeg. Pour over the spinach layer, then add the remaining cheddar cheese on top. Bake for 45-55 minutes or until quiche has set. Preheat oven to 375F and grease the loaf pans. In a medium bowl, mix together flours, sugars, baking soda, baking powder and cinnamon. In a large bowl, beat together the eggs, yogurt, bananas and vanilla. In small batches, mix in the dry ingredients with the wet ingredients. Fold in the zucchini and chocolate chips if using. Bake for 30-35 minutes for small loaves, 45-50 minutes for larger loaves, or until an inserted toothpick comes out clean. We have several weekends of travel coming up–including a wedding and a much needed trip to the beach–but I’m sure whenever we are in town on a Saturday, we will be heading to the farmers’ market. Hopefully we’ll slowly be able to ween Theo off the jumping-on-people stage that he is currently in and we’ll be able to bring him along. 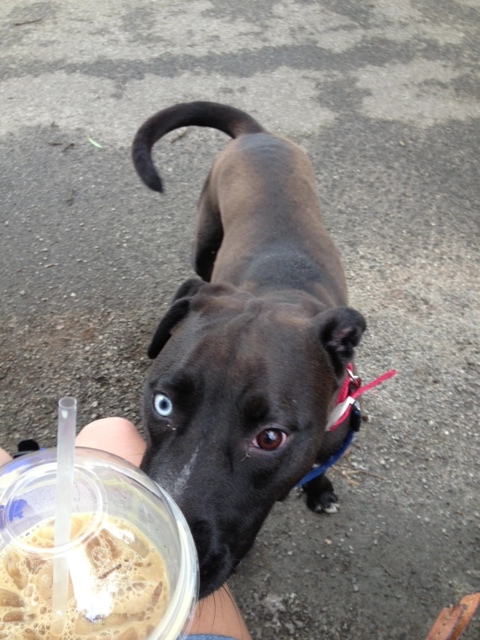 And the iced coffee. Must always get the iced coffee.